Courtney Cole laces up her neon yellow and blue roller skates. Her blinding skates, bright purple hair, and fuchsia-colored tights make her stand out like a peacock in a sea of black and white. Courtney makes slight adjustments to her elbow and knee pads. 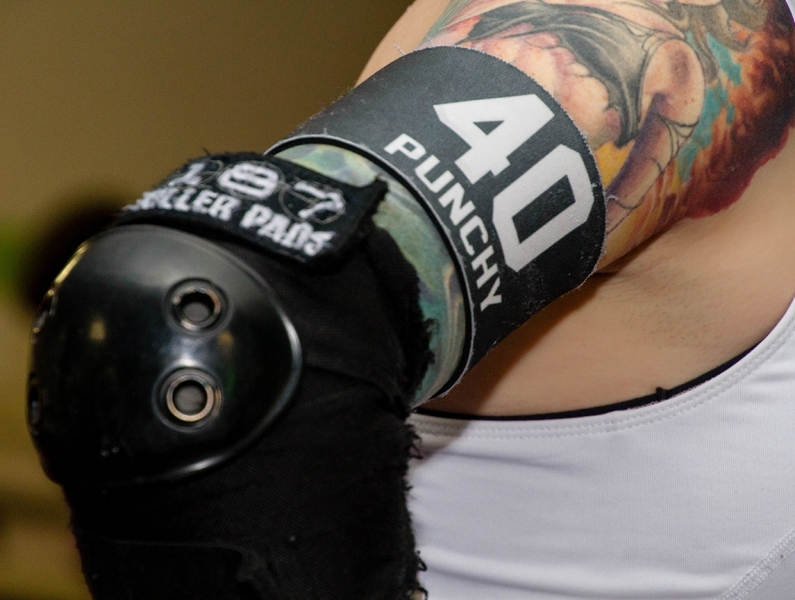 Her armband and uniform display the number 40. She puts her mouth guard in and hits the rink, ready for battle. 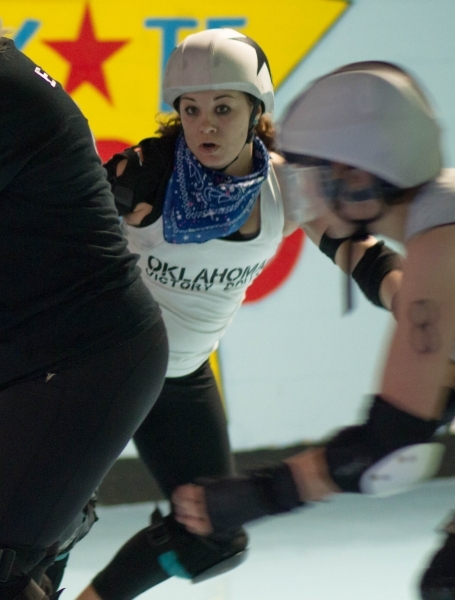 And she is a member of the Oklahoma Victory Dolls Roller Derby league. Practice has started. 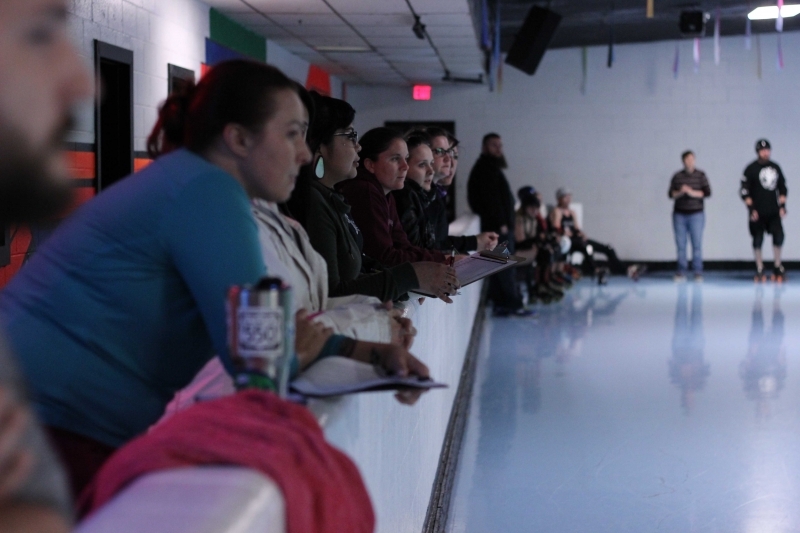 Punchy joins several others on the rink, a dimly lit place called Star Skate track in Norman. 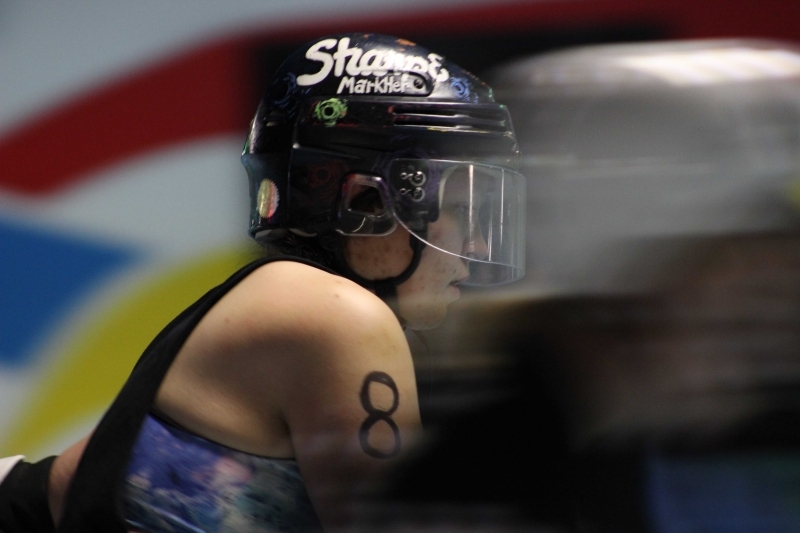 The girls’ helmets are plastered with different stickers, which showcase their own individual personalities. 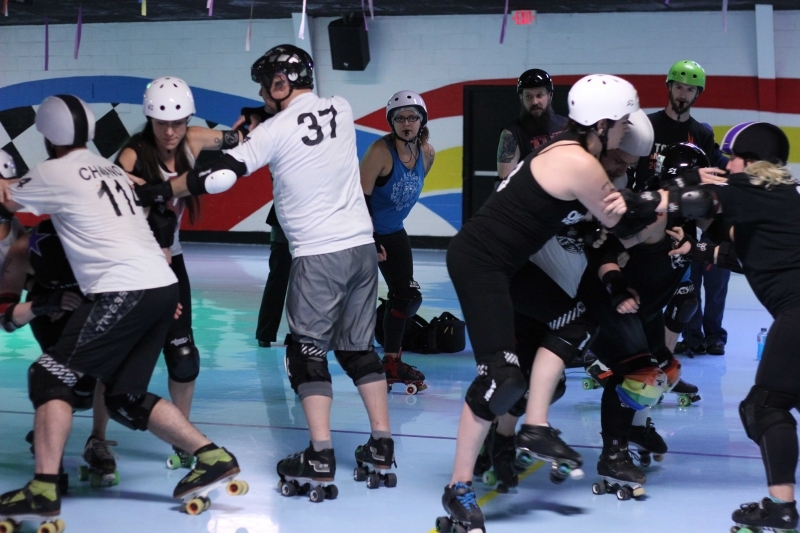 The girls practice hard, zooming around the rink, fighting for real estate. 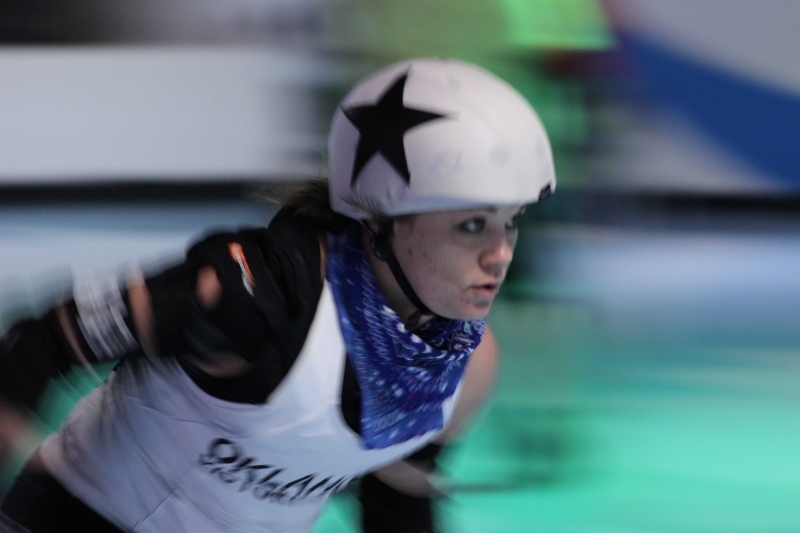 Since the 2007 creation of the Oklahoma City Tornado Alley Rollergirls league, Sooner State women have flocked to the sport. 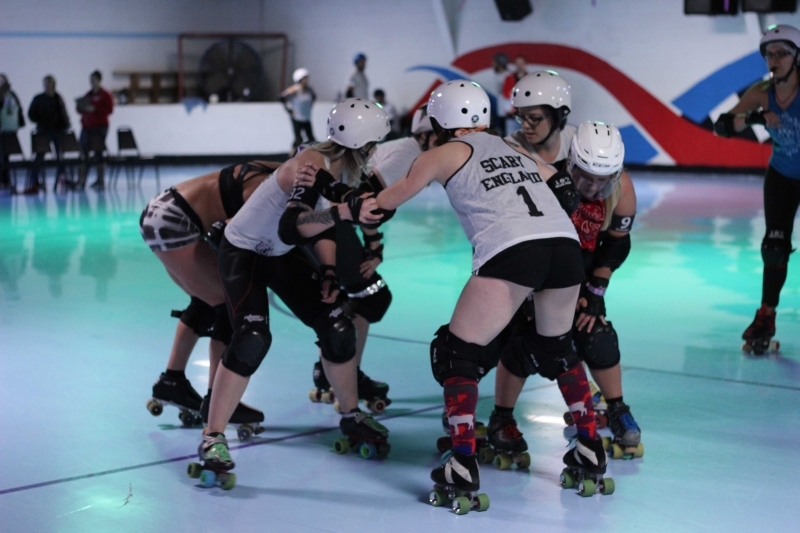 Originally the league consisted of four separate teams: Victory Dolls, Valkyrie Vixens, Cell Block 9, and the Home Wrecking Harlots. Over the years, the league had broken apart, merged, and reformed under new leadership and a highly-debated name. The Oklahoma Victory Dolls is a recognized member of the Women’s Flat Track Derby Association ranking 64 out of 320 leagues worldwide. At this practice, skaters scrimmage in preparation for upcoming bouts. They meet three times a week to practice drills and proper falling techniques that prepare them for big hits during matches. They play against the men, too. Those men include Punchy’s husband Travis — also known as Lord Slug. 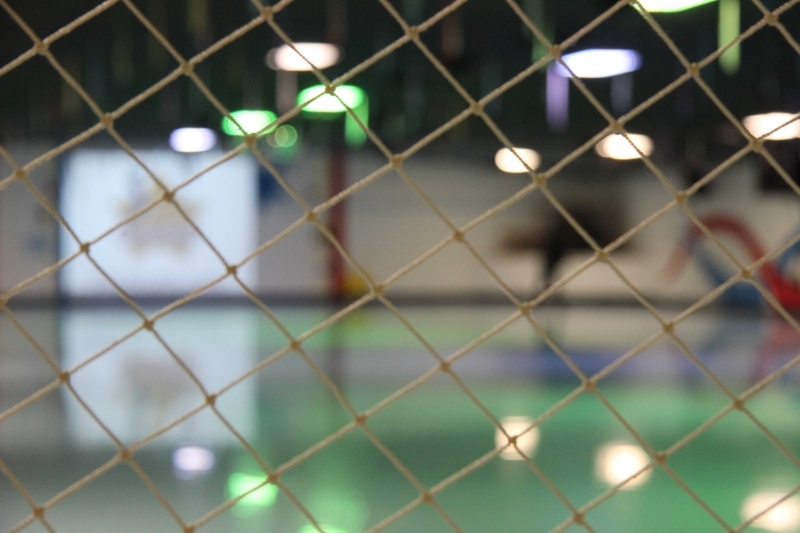 The players practice hard; call it full contact with some boundaries. 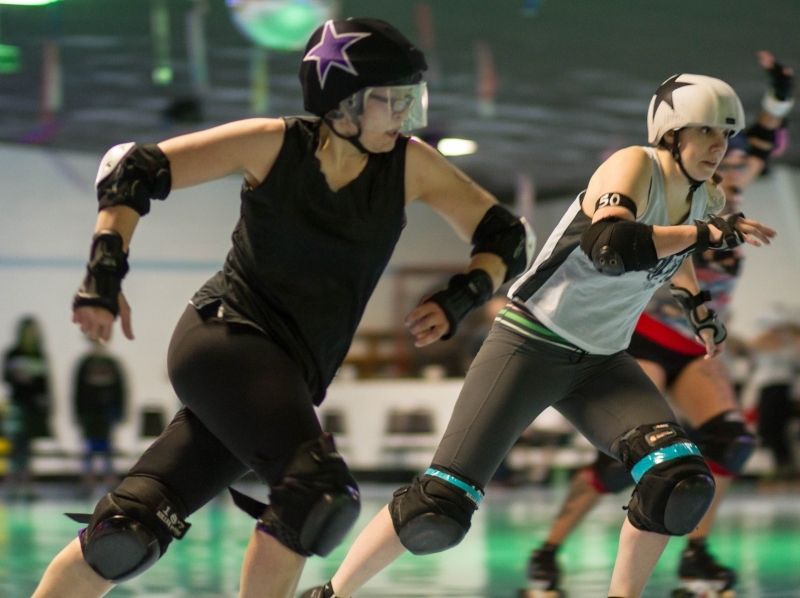 For these teams, roller derby is as real as it gets. 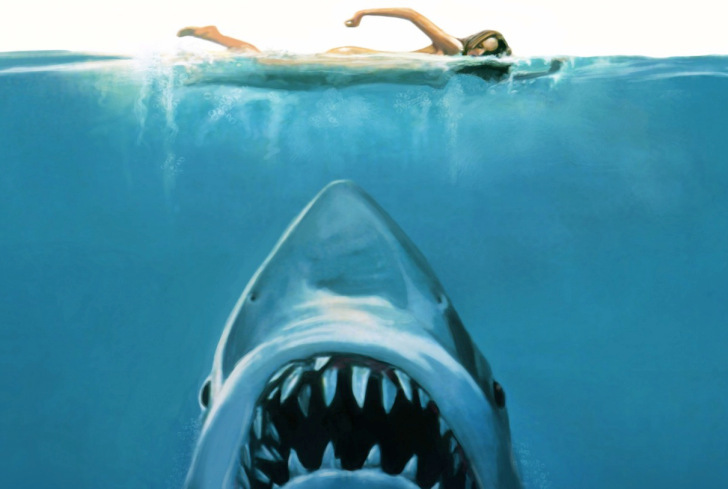 The hits are 100 percent and most teams practice between six to eight hours a week, unpaid. 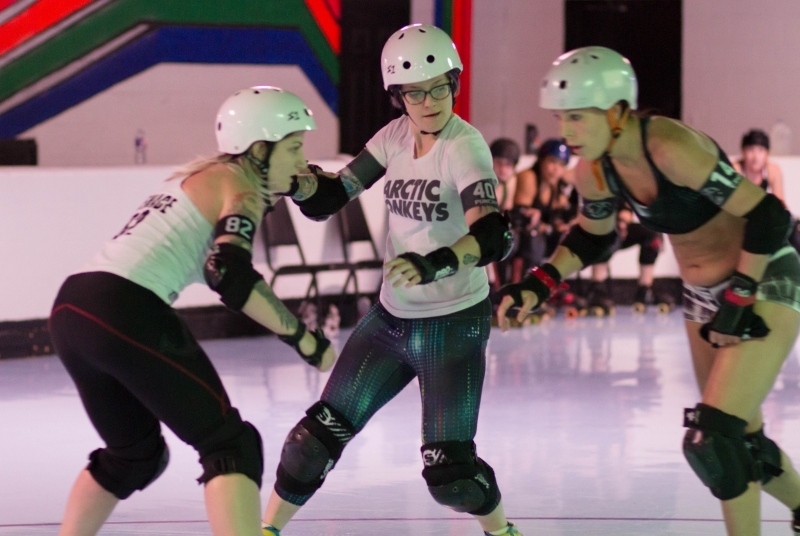 This league encourages sportsmanship and athleticism over showmanship. A collision of bodies echos across the rink. 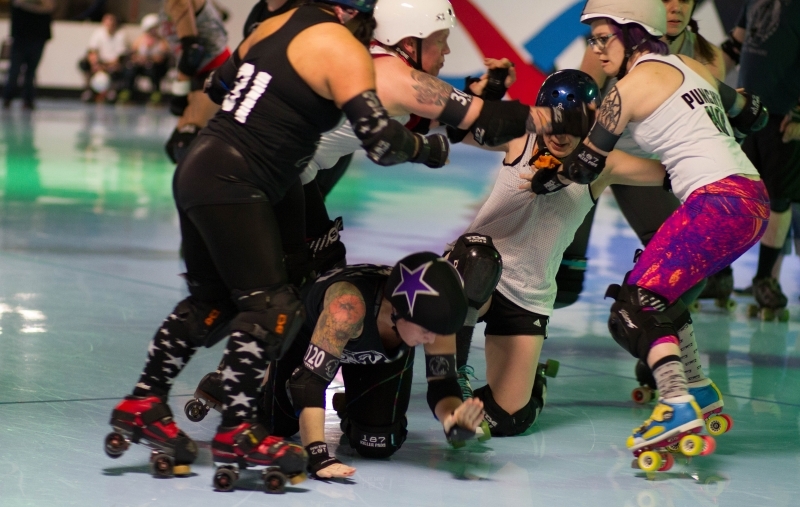 A skater falls to her knees and pushes herself back up into the fight with teammates clearing the way. 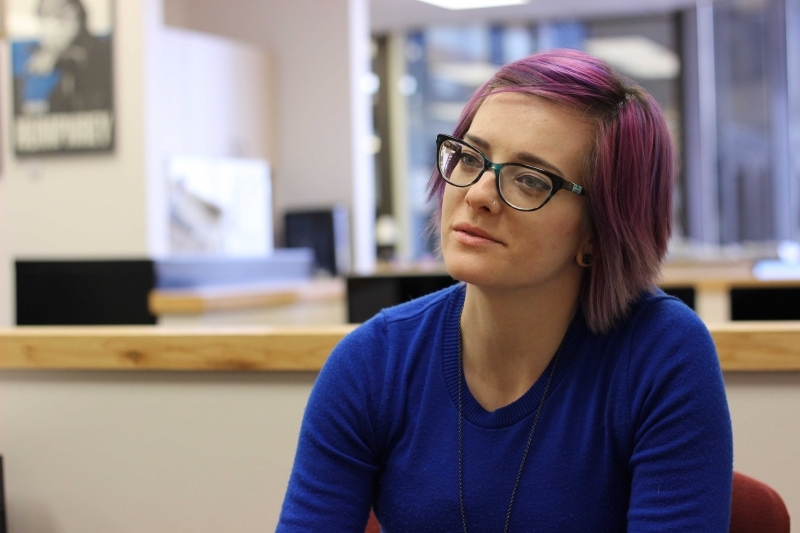 “I think part of the draw for women is they will get out aggression when they join up, but it’s more than that to me,” Punchy said. With her nobel height and prowess, Brittani “Betch” Brown, a 24-year-old from Mustang, practices with Punchy. Brown towers over most other players. Brown said she and Punchy have developed a close bond. “My girlfriend calls her ‘our girlfriend.’ It’s quite comical, but that’s just the closeness we have. It’s a true bond we have developed through the love of derby,” Brown said. Brown said she and Punchy became friends because of a carpool. After Punchy’s first “derby wife” (and a member of the carpool) moved to the United Kingdom, Punchy and Brown grew close. 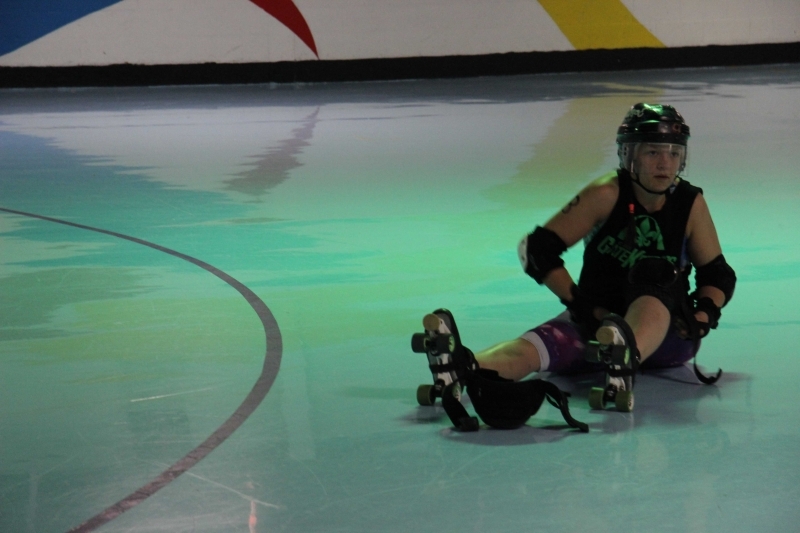 Deuce said the friendship Betch and Punchy share is commonplace within the roller derby community. Women in leagues across the globe establish familial connections with their teammates. 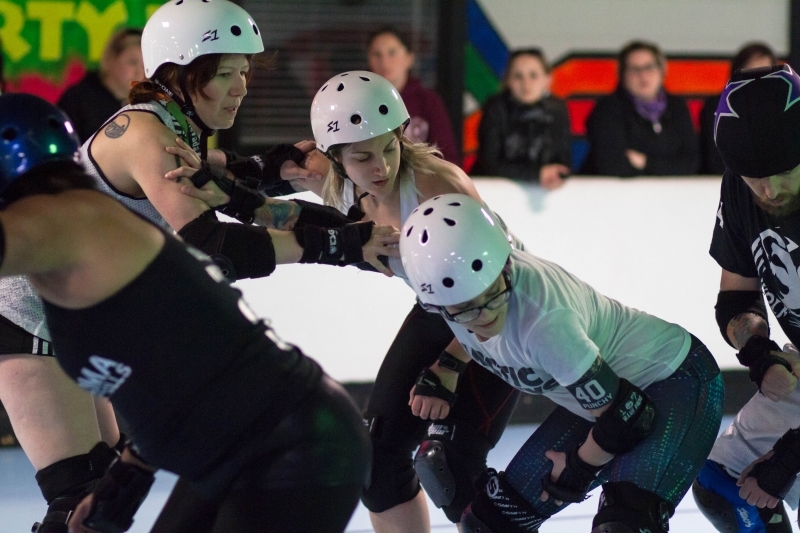 An eight-year veteran of OKVD, Tina “T-Pain” Vanwinkle said empowerment was not what she was looking for when she joined the sport — but she soon found it. Punchy whips around the track. 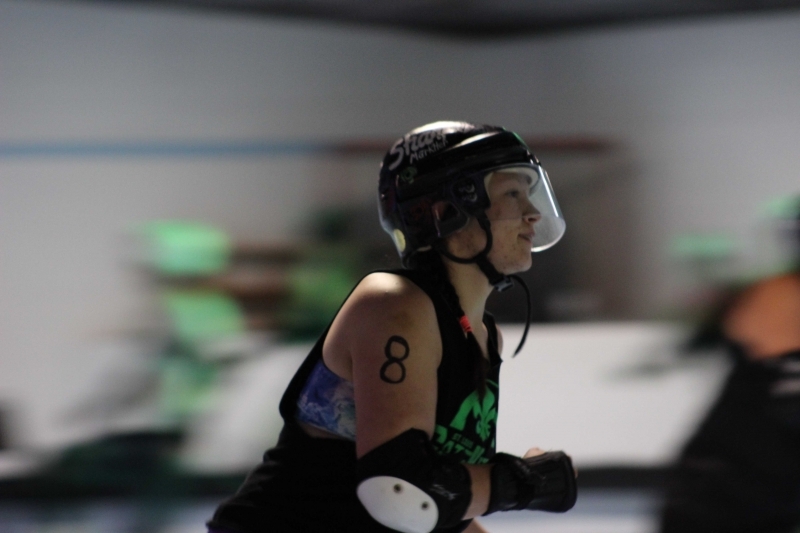 She knocks other skaters out of the way, pushing her way around the track with confidence. 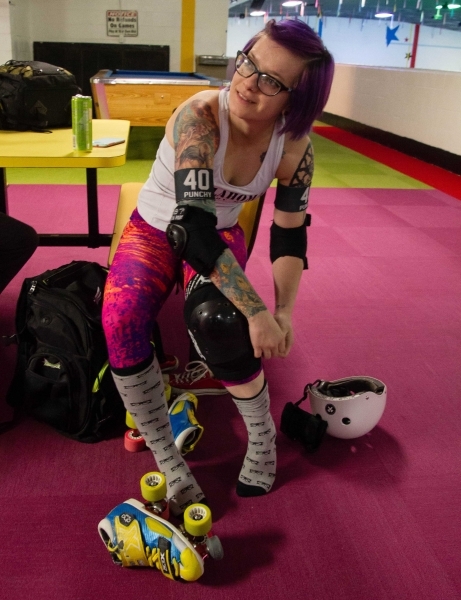 With the support of her teammates, husband, and friends, she’s quickly becoming a star in the tough, neon-colored sport known as roller derby. Punchy may be small, but according to Deuce, she’s also quick and agile.